Our prototypes are transfemoral and transhumeral, by the way, but we plan on creating versions of all four before the year is out. Energy storage and return-- storage of energy acquired through ground contact and the utilization of that energy for propulsion. Cost-- turns out a transradial or transtibial prosthetic usually costs $6,000-8,000 and a transfemoral or transhumeral prosthetic is $10,000-15,000. Yikes. Daniel and I were shocked at how much detail has to go in the prosthetics to make them safe and comfortable for people, and vowed to keep it all in mind while we built our prototypes. 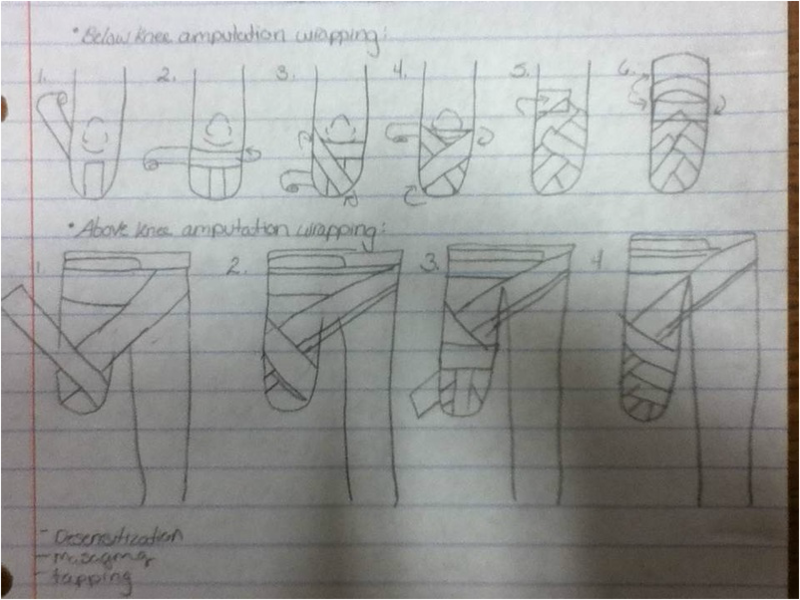 Prosthetics-- what to do and how to wrap 'em!